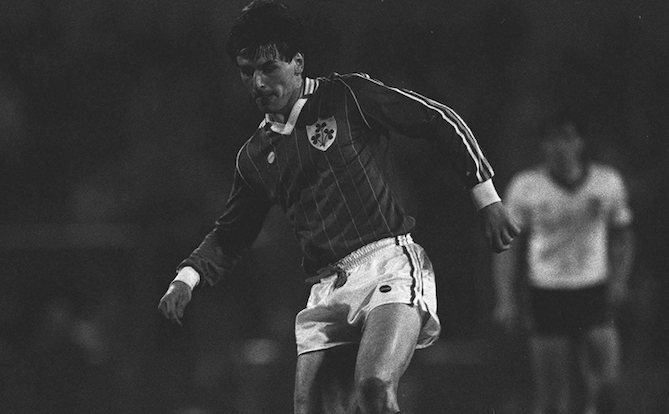 Mick, as he was better known, represented Ireland twice at senior level - against Iceland and Czechoslovakia in 1986 - having previously lined out for the Under-21 team. The midfielder enjoyed a long club career that including spells with the likes of Middlesbrough, Portsmouth, Stoke City, and Wigan Athletic before finishing up in 1994. It was with Portsmouth where he played his best football with over 120 appearances made and the club inducted him into their Hall of Fame in 2018. Mick resided in County Clare in recent years and continued to be an influential figure at grassroots level. The FAI will pay its respects to Mick at the upcoming UEFA EURO 2020 Qualifier against Georgia on March 26 in Aviva Stadium. The Football Association of Ireland is saddened to learn of the passing of former Republic of Ireland international Mick Kennedy.